KATHMANDU, March 26: After many district bodies overseeing reconstruction works at the district level on behalf of the National Reconstruction Authority (NRA) are set to be dissolved with the restructuring of the local bodies in line with the new federal setup, the NRA is considering setting up its own units for reconstruction in all the 31 earthquake-hit districts. Chief Executive Officer of NRA, Yubaraj Bhusal said that the NRA is mulling over setting up its own unit in each quake-affected district and pool in the officials of the district bodies overseeing reconstruction for a 'smooth transition'. 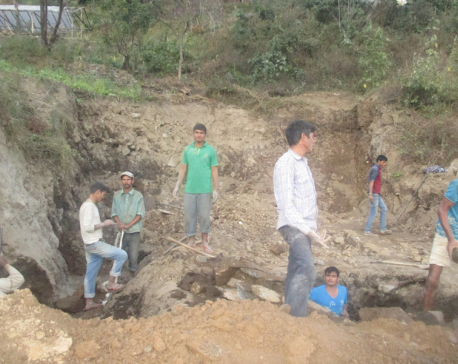 As per the Local Government Operation Act 2074, district offices like education, health, building construction and drinking water, among others which were handling reconstruction works will be automatically dissolved from April 10. According to him, a committee under the leadership of the secretary of NRA has been formed to detail a new modality to carry out reconstruction works in the districts after the local bodies are restructured in line with the new federal setup. 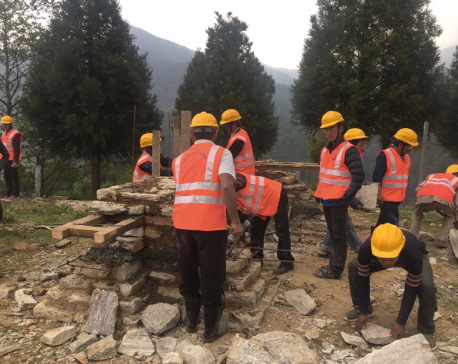 “We are planning to set up a district-level reconstruction project office and establish branches with the office to oversee reconstruction of private housing, educational institutions, health offices, heritages and government buildings, among other reconstruction works,” he said. He said that the committee will submit its report to him by next week. “We have barely two weeks left to find an alternative to the district bodies which will be dissolved. So, we have expedited our preparations. Once the committee submits its report, it will be presented to the steering committee of the authority headed by Prime Minister and relevant decisions will be made in this regard,” he added. He said that the steering committee will hold its meeting within the next two weeks. “We were planning to collaborate with new local bodies. But since they are still ill-equipped, we are planning to set up our own entities and ensure a smooth transition to the reconstruction works,” he added.